We are glad you want to know more about our store and us. 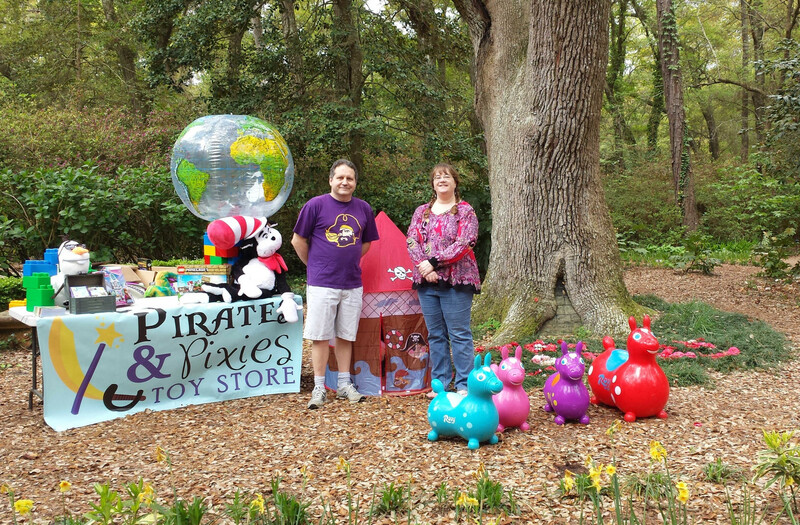 Pirates and Pixies Toy Store is the creation of us, Beau and Sarah Midgett. The store opened in April 2010. We always loved toys and kids, we have two. Pirates and Pixies is a family owned independent toy store on the Outer Banks located in Nags Head. Our wide variety of toys, games and puzzles is meant for all ages. For example, our puzzles range from 3-piece peg puzzles for toddlers to 2000 piece puzzles, and the range in or toys goes from newborn to 14 plus. Because our selection is so wide we will always offer to help our customers find what they are looking for. Plus, it is fun to show off our coolest offerings. Many of or offerings are educational and while we look for the smart toy, what we look for is to provide the coolest, funniest items we can find. As parents, we found the big boxes to lacking in the toys our kids enjoyed. We carry old school to cutting edge.